Dedicated to the patient experience by making the dentist anxiety-free. 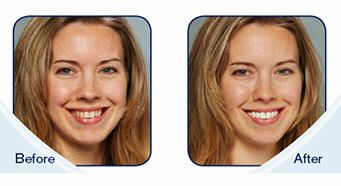 When we started White Smiles Family Dentistry in Minnesota, we knew that we wanted to live up to our name. We wanted to excel in the industry, to excel in our practice, and to give our clients what they need to excel in their lives with a smile they would love. In this way, we knew that we had to be run differently than other local dentists. The stigma associated with family dentists has become a roadblock for so many Americans, one which prevents them from receiving the care they really need. Our job is not only to perform our work seamlessly and effectively, but to create an atmosphere where you feel comfortable, confident, and anxiety-free. Our staff loves their job, and in this way, we are able to really have fun doing what we do, and our patients have fun, too. A friendly attitude dedicated to providing the best possible service, our team really feels like they are living the dream. Our dedication to our patients means that we do everything we can to provide high-class service at a low cost. In this way, we provide breakthrough technology to make the experience easier on you. This includes glasses that you may wear throughout the procedure, allowing you to watch movies and keep you from seeing or hearing the drill. Our cutting-edge anesthesia technology allows us to administer anesthesia as painless as possible. Our innovative dentistry equipment allows us to increase both efficiency and effectiveness, which means that your procedures are performed faster and better. With top of the line materials, equipment, and professionals, we are able to provide you with everything you need to be comfortable and have a smile of your dreams. Contact us today to find out how we strive to be the best dentist in Albertville and how we can change how you see dentists. Have an emergency? Don’t wait until the pain becomes unbearable. 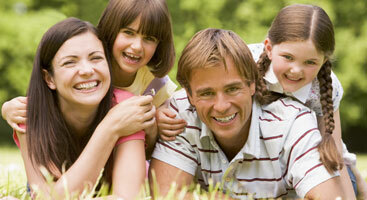 We are happy to provide same-day service for any dental emergency, so call us now. Beautifully placed, our lumineers look natural and feel great, giving you the smile you've always wanted with the confidence you deserve. 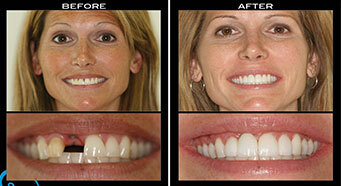 Learn more about our cosmetic dental services and contact us today. A permanent, remarkable solution to missing teeth, we have a prosthodontist on-staff to help you get the smile you are looking for with the dental implants you can count on. Schedule a visit today! Finally, an anesthesia option that is gentle. Reduce your anxieties and your pain with the cutting-edge technology that is revolutionizing the anesthesia process. Contact us today to learn more.